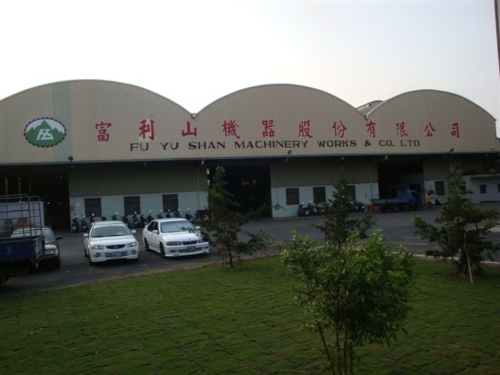 Milestones:1976: Fu Li Shan Machinery Works established, with a 170-square-meter factory.1978: Leng Meng Industry Co., Ltd. established, with a 550-square-meter factory.1985: Fu Yu Shan Machinery Works Co., Ltd. established, with a 1,600-square-meter factory.1992: factory expanded to 15,000 square meters.We mainly engage in R&D of various waste-plastic recycling and reproduction machines. With individually designed threaded rods, these machines efficiently melt, mix dry/wet plastic powder, film, thin sheets and irregularly-shaped materials for extrusion of superior-quality pellets. Specializing in designing pellet extruders, we also develop a series of extruders to turn out PVC tubes, sheets, as well as machinery to produce single/double baling-straps.With ample expertise in extrusion and injection molding, we also develop shoe-last extruders and injectors with capacities to turn out 6kg of shoe lasts each cycle with only a shaping mold, without air bubbles in 95% of the output. In addition, heavy-duty, 1600-ton computerized injection molding machines are also available.